Due to physician shortage, physician salaries have been steadily rising over the last 7 years. 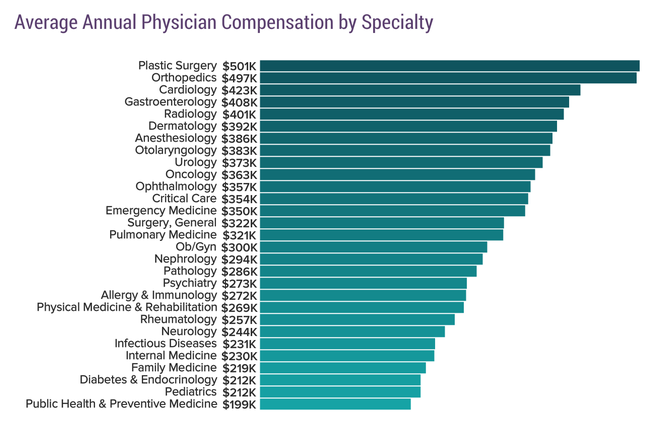 Medscape’s 2018 Physician Compensation Report surveyed 20,329 current practicing physicians in the US in over 29 specialties. According to the report the average overall physician salary including primary care and specialties is $299,000, an increase when compared to 2017. More specifically, in 2018 primary physicians earned $233,000 (a $16K increase from 2017), and specialists earned $329,000 (a $13K increase from 2017). Surprisingly, the top 3 earning specialties in 2018 were the same as in 2017, and include: plastic surgery at $501K, orthopedics at $497K, and cardiology at $423K. One key takeaway from this is that plastic surgery has shown continued growth, and because of current pop culture and influx of celebrities undergoing cosmetic procedures, people are now seeing it as more acceptable. Public health & preventive medicine, pediatric, and diabetes & endocrinology earned between ($212K and $199K), becoming the lowest 3 earning specialties. Out of all the specialties, psychiatry received a 16% pay increase over the past year, increasing their average yearly salary to $273K. Why? Two reasons, one there aren’t enough psychiatrists to keep up with the high demand for mental health services such as dementia, societal ills etc., nor are there enough psychiatrist willing to meet the needs of specific neighborhoods they are asked to serve. There are several factors that help determine a physician’s salary. The key factors include their chosen specialty, competition, physician density, and location (geo, state). This year, physicians in the north central region earned the highest salaries with an average income of $319K; while physicians in the northeast region earned the lowest salaries with an average income of $275K. If we break it down by state, the top 3 earning states include: Indiana with $334K, Oklahoma with $330K, and Connecticut with $329K; while, the lowest earning states include: Michigan with $277K, Massachusetts with $275K, and Hawaii with $268K. It can be challenging for medical organizations to create competitive/attractive compensation packages for physicians. According to the survey by Medscape, the most frequently provided benefits for physicians include: malpractice insurance, and health insurance. On the contrary, less than half of physicians receive short-term or long-term disability. Creating a more attractive compensation package, could be a competitive advantage for medical organizations looking to retain or acquire more physicians. Do Physicians “Feel” Fairly Compensated? Overall, 55% of physicians feel fairly compensated. The top 3 physicians that feel fairly compensated include: emergency medicine (74%), pulmonary medicine (70%), and dermatology (70%). Those that least feel satisfied with their compensation include: physical medicine & rehabilitation (46%), diabetes & endocrinology (47%), and allergy & immunology (47%). According to the report, there are 3 factors that physicians consider when determining if they are satisfied with their compensation – (1) are they important to the organization, (2) accomplishments, (3) the amount of work/frustration they deal with compared with income earned. 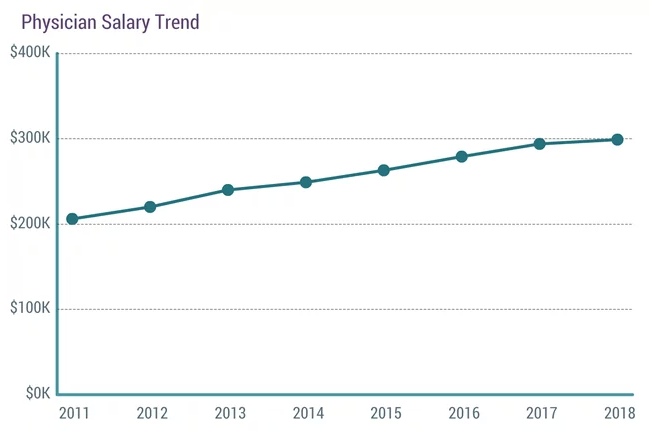 The key takeaway from the Medscape Physician Compensation Report is that there is a positive physician salary trend. Therefore, medical organizations need to consider multiple factors when putting together a compensation package for physicians. 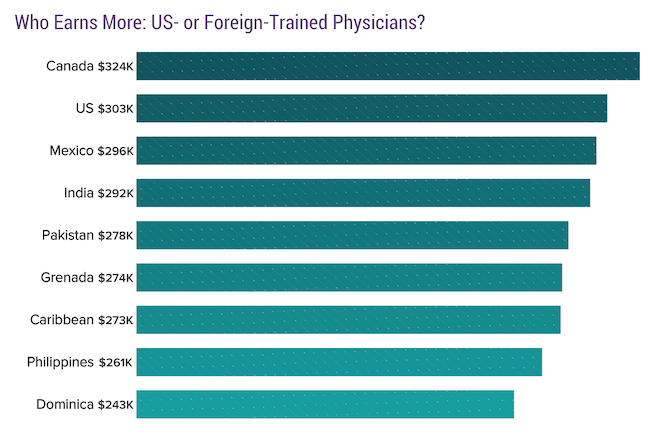 In order to stay competitive, they must consider – the location of where the physician will be working, if they are a US or foreign physician, and their specialty. 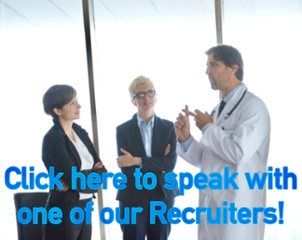 A nationwide leading physician recruiter like MASC Medical can help assist medical organizations inmatching the right physician to the perfect medical organization or simply by helping a healthcare professional find their next assignment.